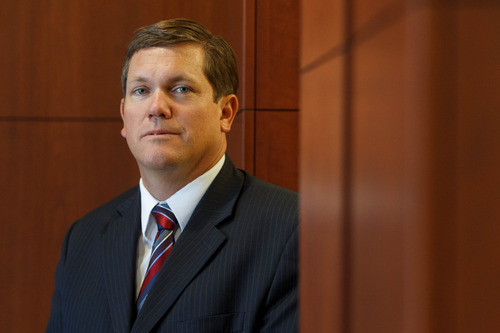 Some say Republican Swallow's lopsided, record haul of $1.2M may lead to conflict of interest. Trent Nelson | Tribune file photo Utah Attorney General Mark Shurtleff, left, and Republican attorney general nominee John Swallow share a laugh at a campaign event. 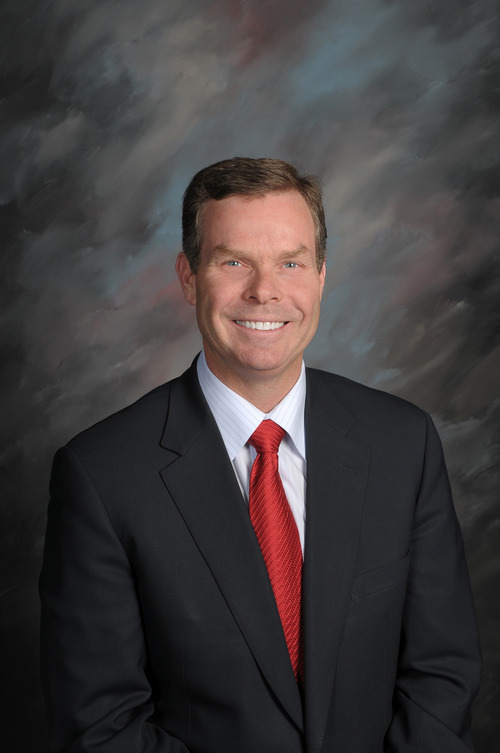 Utah attorney general candidate John Swallow. (Tribune file photo) Rick Egan | Tribune file photo Deputy Attorney General John Swallow is running for the Office's top job. Three-term Attorney General Mark Shurtleff is stepping down in January. Trent Nelson | The Salt Lake Tribune Weber County Attorney Dee Smith is running for Utah attorney general. He faces Republican John Swallow in the Nov. 6 election. Trent Nelson | The Salt Lake Tribune Dee Smith is the Democratic candidate for Utah attorney general. Smith is running against Republican John Swallow. Three-term Attorney General Mark Shurtleff is stepping down in January. Trent Nelson | The Salt Lake Tribune Weber County Attorney Dee Smith is running for Utah attorney general. He is shown here outside the 2nd District Court Building in Ogden. 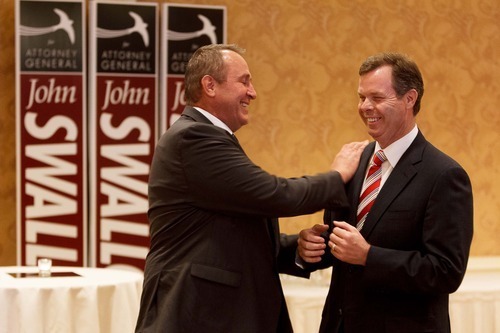 Courtesy photo Chief Deputy Attorney General John Swallow is running for Utah attorney general. Twelve-year Attorney General Mark Shurtleff is stepping down after finishing his current term in January. Trent Nelson | The Salt Lake Tribune Weber County Attorney Dee Smith believes the state needs tighter regulations on payday lenders saying they engage in "predatory" practices that hurt low-income people. He disagrees with his Republican rival in the election for Utah attorney general. Trent Nelson | The Salt Lake Tribune Weber County Attorney Dee Smith is running for Utah attorney general. 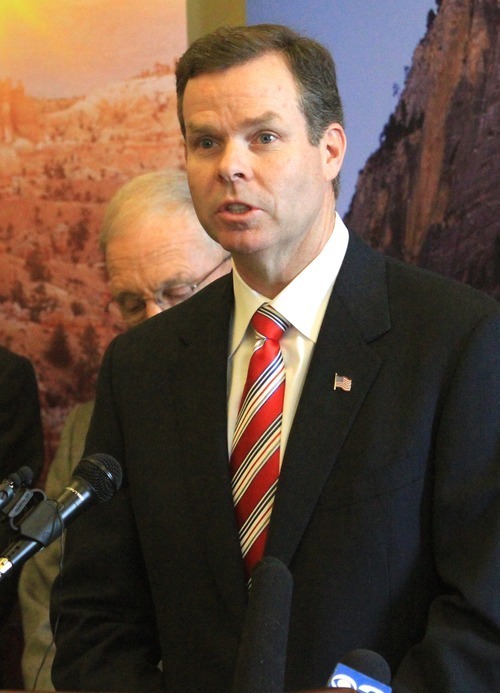 He faces Deputy Attorney General John Swallow in the Nov. 6 election. Dee Smith is haunted by the memory of Jared Francom. The attorney for Weber County has been preparing the case against Francom's accused killer, Mattehw David Stewart, ever since a cold, fateful January day. "I knew Officer Francom," Smith said. "I know the families of the other officers that were wounded. I want to see it [the case] through." Francom was part of the Weber-Morgan Narcotics Strike Force that served a high-risk warrant Jan. 4, resulting in the firefight that killed the officer and wounded five others. Smith said Francom would regularly "call me in the middle of the night" about procedures to assist in making a case. 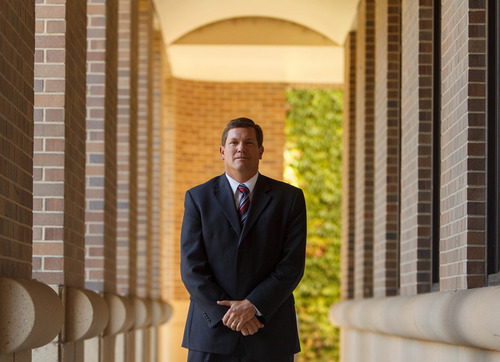 "I'd been through several jury trials that I'd prosecuted his cases," Smith said. "He was a true professional." But 10 months after the shooting, there is no chance that  if Smith were to win in his bid to become Utah's next attorney general  he'd be able to try the capital murder case. It's the main reason it took three tries  including calls by U.S. Rep. Jim Matheson and visits by Utah Democratic Party Chairman Jim Dabakis  to persuade him to run against Republican John Swallow, the chief deputy attorney general. "I really wanted to see it through," Smith said, sitting at an empty desk inside his spartan campaign office. "But we have really good prosecutors working the case." New attorney general • For the first time in 12 years, the election for attorney general will not have the name Mark Shurtleff on the ballot. Shurtleff set a tone for the office that many considered high-profile advocacy for issues. He became a national figure on immigration, helping forge The Utah Compact and calling out fellow Republicans for taking too hard of a line on immigration reform. He has appeared on immigration-related panels and said recently at a forum in Salt Lake City that Republicans were in danger of losing the Latino vote forever by continually espousing tough, enforcement-only rhetoric. Swallow said the public won't see him leading out on that hot-button issue, however. "I view Latino support for the Republican Party as being important demographically and politically and I think that's what Mark is trying to say," Swallow said. "Mark clearly views his role on immigration in that area as one of his big priorities. I am probably going to use more of my time and energy to fight on the public-lands issues and child-protection issues." But public lands, according to a survey released this week by the Utah Foundation, ranks as the 14th most important issue to voters. Immigration was 10th. Jobs and the economy ranked first. Swallow said he "won't run my office by polls," adding that the federal lands issue in Utah isn't fully understood by the public. "I don't know the public has been educated to see the tie between jobs and the economy and public-lands access," Swallow said. "I don't know if they've seen the tie between energy dependency and energy independence for the country and access to public lands." Smith, however, sees it as a waste of taxpayer money trying to defend "message lawsuits" that he believes have no chance in getting the federal government to turn over a portion of the land it controls in Utah. Smith said his experience as the top prosecutor in Weber County makes him qualified to be the top prosecutor in the state. "I've tried over 50 jury trials, including death-penalty cases," he said. "My experience is in law enforcement and prosecution, which is what you need to be as the state's top prosecutor." 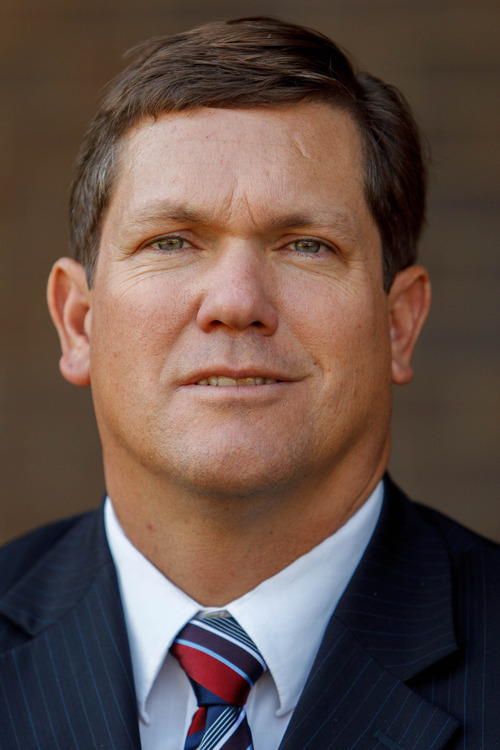 Swallow said his experience in working with Shurtleff in fighting the Affordable Care Act (better known as "Obamacare"), increasing the size of the litigation team on public-lands issues and tapping $171 million in settlement money from a national mortgage fraud lawsuit to target predatory practices make him ready to take on the job. "There's a lot we've been doing and there's a lot on the table," Swallow said. "And we can do more." Flood of cash • The race between the two major party candidates  and Libertarian candidate Andrew McCullough  has largely been dominated by the topic of money. Swallow has raised more than $1.2 million, according to the most recent financial disclosure, and a whopping 20 times what Smith has raised, while McCullough has mustered only about $2,700. Swallow's take is the most money ever raised in an attorney general's race. For comparison, the attorney general's race in Colorado between Republican John Suthers and Democrat Stan Garnett had a total of about $1 million raised between both. Swallow doesn't apologize for the lopsided sums. "You never know when you're running a race how much you're going to need," Swallow said. "Dee didn't call me and say, 'I've raised $47,000, can you slow things down a little bit?' He didn't call me and say, 'I'm out of the race and you don't have to worry about anything.' So what I've done is raise all I can to win." But University of Utah political scientist Matthew Burbank said it's tricky to amass that kind of money in an attorney general's race because the very people or institutions giving money could be the subject of investigations later. "We don't usually see those kinds of totals in part because they have to be careful to raise money and not raise the issue of having a conflict of interest down the road," Burbank said. "That's the risk and, for an attorney general, there are real questions there about how much money you take in and from who you take that money from." The stark contrast of the campaigns was visible at a town hall in Price, where Smith brought in a few blue yards signs and a handful of fliers to give out to about 50 people who showed up to hear candidates running for federal, state and local offices. A few tables away, Swallow's campaign was giving away doughnuts, embroidered T-shirts with a Halloween theme  the ubiquitous swallow logo shaped more like the bat from "Batman." Swallow has television and radio ads. Smith posted an ad this week on Facebook soliciting donations from supporters in hopes to raise enough to get it on television. That disparity is tough to overcome. "It's a significant disadvantage when you consider it's one of the less-visible races and doesn't attract a lot of attention," Burbank said. "And $1.2 million is a huge advantage." Swallow's path • Swallow bounced around when he was young  born in California, then living in Utah and having a short stint in Alaska before a stretch in Nevada. The 49-year-old has been in Utah for the past 28 years. He initially wanted to be a baseball player before reality set in. "I was a shortstop and a pitcher," he said. "But I was never a good enough hitter." 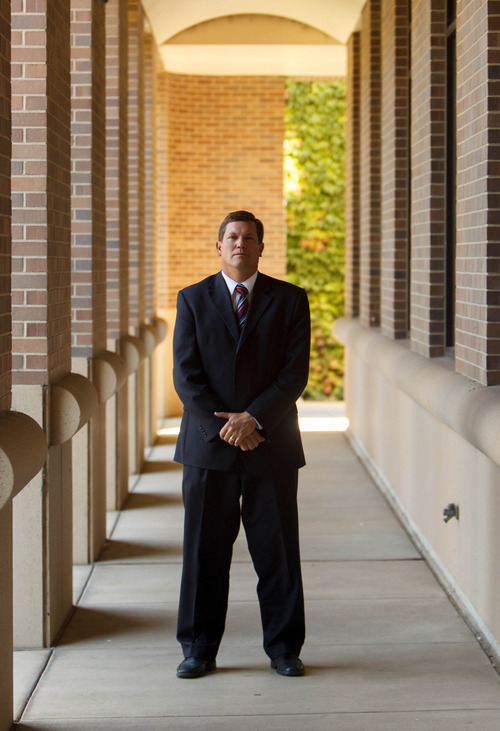 Politics didn't come until he finished law school, and that's when he thought he'd make a run at the state Legislature. He spent six years in the state Capitol and had two unsuccessful runs for Congress against U.S. Rep. Jim Matheson, D-Utah. Sen. John Valentine, R-Orem, worked with Swallow during his time in the Legislature and said he endorsed him for attorney general because he believed he was interested in seeking solutions to problems. "Sometimes we get elected officials who think they know it all and don't spend time trying to find out what the answers should be," Valentine said. "John was a consensus builder who did what it took to get bills passed." One of those bills was in 2002, when Swallow got a measure passed that required courthouses  which ban firearms  to have storage areas for licensed concealed weapons. Valentine said it was an example of keeping courts free of guns while respecting people's rights to bear arms. It passed the Senate 25-3 and the House 59-10. "I believe in working in a collaborative way," Swallow said. "I'm more of a behind-the-scenes guy who just wants to get things done." Gang fight • Smith, a Weber State University graduate and a product of the University of Utah law school, has said it repeatedly. "I don't want to make my campaign about my opponent," he said, adding he wants people to focus on the work he's done. Something he points to as one of his proudest achievements is getting a gang injunction in place for Ogden this year. Lt. Scott Conley, who heads the gang unit in Ogden, said Smith was key in getting 80 percent of the more than 300 Ogden Trece gang members served with the civil injunction that restricts their ability to move and meet in the area. "He's been out on the streets with us," Conley said, "and he's always looking for ways to get us what we need." The injunction is being challenged by the American Civil Liberties Union as a violation of constitutional rights. Smith said it was necessary because gang activity was threatening the safety of the community. "We've done a lot of things up here to make this a better place to live," Smith said. "I think people appreciate I have their interests at heart." 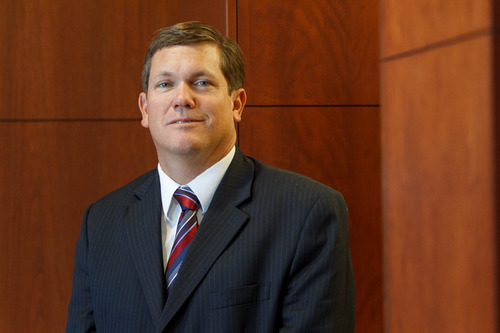 Swallow said he's felt the same sentiment acting as the state's chief deputy attorney general. "To be there fighting for Utah, fighting for people's rights, has meant a lot to me," he said. "It's what inspired me to run in my heart and it's something I'll never forget."